For every book I write, be it fiction or nonfiction, there is a personal motivation as well as what I’d call a more “universal” element. I have to feel a strong personal connection to the subject of the book, since, after all, I’ll be studying that subject and writing about it for several years. At the same time, I have to believe that it’s a subject that has some historical weight to it, so that it can interest others as well. This was the dual motivation behind writing my first novel, Velvet Totalitarianism (Rowman & Littlefield Publishing, 2009), translated into Romanian as Intre Doua Lumi (Editura Curtea Veche, 2011). This novel draws upon, in part, my family’s story. But it represents, above all, a slice of life about communist Romania during the dismal last years of the Ceausescu regime. Right now, I’m working on two books about the Holocaust. The first one, called Holocaust Memory, will be a collection of book reviews of some of the most significant and resonant memoirs, histories and novels about the Holocaust that I can find written (or translated) in English. The subject, I believe, is universal. Although the history of the Holocaust concerns most the Jewish people, this topic is also about social psychology, WWII, and the history of Europe, the Soviet Union, Japan and the U.S. during one of the most trying moments of our collective past. As usual, however, there is also a personal component to my interest in this topic: I’m still haunted by some of the stories my Jewish grandparents told me about the Holocaust when I was a child. In a fragment of Velvet Totalitarianism which I’d like to share with you below, I pieced together some of the life stories culled, here and there, from conversations with my Jewish grandparents about their experiences during WWII. This is by no means a history of the Holocaust in Romania. It offers a tiny kaleidoscope of family stories filtered by memory which, I hoped as I was writing my novel about communism years ago, I would one day have the know-how and the courage to explore in greater depth. “Grandma, what’s a pogrom?” Irina asked. “You’re too young to learn about these terrible things,” Grandma Sara replied. “Please tell me. I’ll do my best to understand,” the girl pleaded. “I’m not a kid any more. I’m already eleven!” Irina objected. “You’re not a little kid, but you’re still a kid,” the grandmother stroked Irina’s hair. “But, Grandma, since this happened to our own family…I have the right to know,” Irina insisted with the stubbornness of a child. “You still haven’t told me what that word means,” Irina reminded her. “Even children?” Irina wanted to know. “But how can people be so mean?” Irina’s pupils expanded. “The more downtrodden you are, the more you’re mistreated,” was all Grandma Sara could say. By reading histories of the Holocaust, Irina later learned the details that her grandmother wouldn’t tell her, or didn’t know, or perhaps wanted to forget. Some Jews were shot in mass, but most lost their lives in “death trains” and concentration camps in Transnistria. Thousands of human beings were packed together like cattle in closed, windowless train compartments. Left for days on end without fresh air, water, food or latrines, they died of suffocation, dehydration or illnesses as the train wondered aimlessly around the countryside. Well, not aimlessly. Because by the end of its journey, the objective had been reached. All of its passengers were dead. “Your grandfather was one of them,” Grandma Sara once told her. “How did he manage to escape?” Irina asked with a shudder. Eventually, many Romanian Jews found their way to what later became the state of Israel, including all of her grandparents’ surviving siblings. In fact, Irina found out from her grandmother, her grandparents were the only ones who didn’t leave the country. 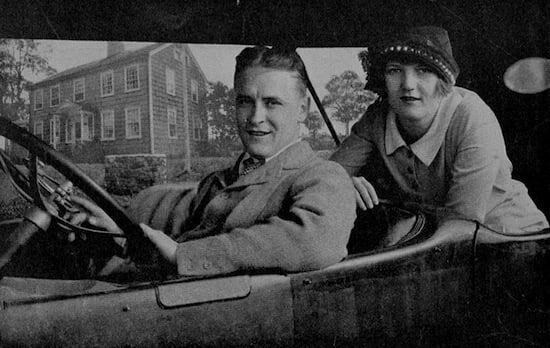 Zelda and F. Scott Fitzgerald was one of the representative couples for America between the two world wars. Both were beautiful and famous. He, a writer that made it young, even though he was not fully recognized by the critics for his real value. She, an ambitious woman, who desired an accomplished man. 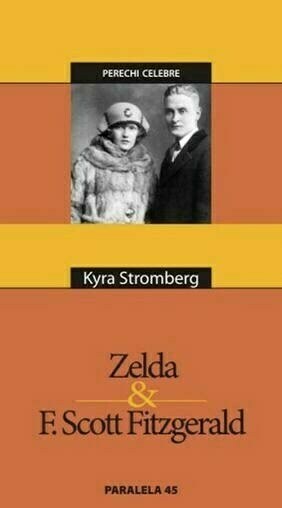 Hemingway, Fitzgerald’s good friend, didn’t like Zelda and blamed her for Scott’s failures. He wasn’t the only one. Often, however–especially during the last 20 years–Zelda Fitzgerald was considered a victim: a talented woman that lived in the shadow of a talented man. As usual, the truth probably lies somewhere in between. Zelda Sayre, the daughter of a judge from Alabama, was a beautiful, ambition woman who, it seems, wasn’t lacking in literary talent. Her letters, a journal and a novel is all we have left from her: all of it included in the 480 page volume edited by Matthew J. Bruccoli. The first biographers attributed to her a secondary role in Scott Fitzgerald’s literary career. In spite of this, Fitzgerald recognized that, aside from his own self, Zelda was his main inspiration. “I truly have married the heroine of my novels,” the author of The Great Gatsby confessed in an interview in 1921. In 1917, F. Scott Fitzgerald enrolled as a lieutenant, but he quickly realized that he wasn’t made for the army. During this period he wrote his first novel, named (in the first version) The Romantic Egoists, which later became This Side of Paradise. When the novel was published in 1920, the author was 23 years old. In 1918, he met Zelda at a ball close to Montgomery, Alabama. He asked her to marry him but she refused. To entice her, he tried to become rich and famous. It wasn’t easy. His first novel was refused by a big publisher because it was incomplete. He took a job at an advertising firm and created, for 90 dollars a month, slogans for various ad campaigns. Finally, the novel was published by the same publisher that initially refused it. This success won Zelda’s hand in marriage. She excitedly wrote to Scott: “Scott, my darling, Everything seems so easy and simple; this golden dawn. The fact I know I’ll be yours forever–that I belong to you–is truly liberating after all the tensions during the past month…. Waiting doesn’t seem so hard. I love you, my treasure…” Scott was in New York, where he was trying to become well-known to secure a decent living for his future wife. Zelda was still in Montgomery, so her enthusiastic tone can be partly explained by the distance that separated them. Alexander McKaig, one of Scott’s friends, wrote the following observation in his journal about the new couple: “I visited Scott Fitz and his wife, a very dramatic, provincial Southern belle. She chews gum and shows her knees. I don’t think this marriage can last. Both of them get drunk. I think in a few years they’ll be divorced. Scott will write something important and die at the age of 23 in an attic…”. McKaig later wrote in his journal, after visiting the married couple: “Fitz should leave Zelda alone and stop chasing her…. The sad thing is that Fitz is completely overwhelmed by Zelda’s personality…. She’s the role model for all the feminine characters in his novels…”. Despite these critical remarks, even the author of the journal was eventually seduced by Zelda’s charisma: “She’s, without a doubt, the most beautiful and intelligent woman I’ve met”. Arriving in New York to be close to her husband, Zelda created quite a sensation among her husband’s acquaintances. The couple prospered, also thanks to Scott’s literary success. In 1925, The Great Gatsby was published. This novel took care of the 7,000 dollar debt Scott owed, with which the couple travelled to Europe. The literary reviews weren’t exactly positive; on the contrary. The novel was received with reticence by the critics. To cover his debts, Scott wrote many short stories. Hemingway blamed his wife for the fact Scott become an alcoholic. He also thought Scott was wasting his talent on short stories because of Zelda, writing about his friend: “He represents the greatest tragedy of a talent in our cursed generation”. In 1929 things didn’t look good for the Fitzgerald couple. Scott made slow progress on his fourth novel, which exacerbated his depression. He described this situation in a letter in 1929: “Even so, it’s possible, God willing, that the five years between my realease from the army and finishing Gatsby, thus the years between 1919 and 1924 during which I published three novels, approximately fifty short stories that sold well, a play, plus numerous articles and movie scripts, took everything out of me. On top of this, during this time we also mingled, with great energy, in the most entertaining social circles. … That’s what bothers me, au fond”. Zelda herself was affected by numerous psychological crises, which become more and more acute. She took refuge in art. She also tried to publish a few short stories. It seems that some of them were published in both her name and his. Several were signed by him alone, however, since those paid more. In 1930, the couple grew apart. Zelda isolated herself in her own world and behaved inexplicably, from Scott’s point of view. She couldn’t even bear to have Scottie, their daughter, around her anymore. In 1932, Zelda’s condition worsened. That same year her own novel, Save Me the Waltz, was published. In 1934, Zelda was sent, following a nervous breakdown, to a hospital near Baltimore. It was the beginning of the end. 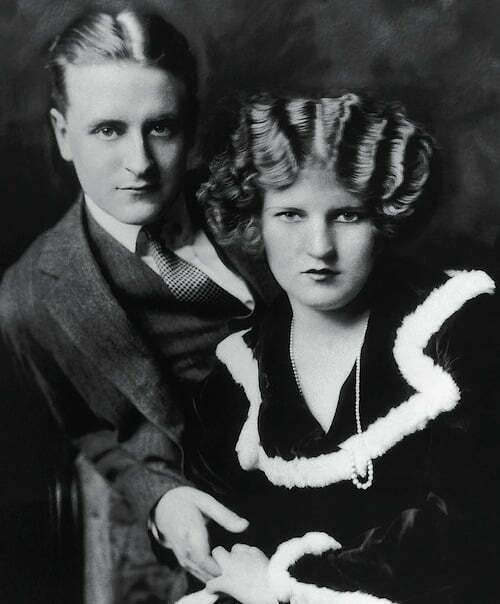 Zelda remained hospitalized while, in 1940, Scott Fitzgerald died suddenly from a cardiovascular accident. He was 44 years old and left behind an unfinished novel, Another death in Hollywood. The author was buried discretely, in the presence of a few friends. On March 10, 1948, a fire burst out in the kitchen of the Highland hospital where Zelda was staying. Nine patients lost their lives, including Zelda. 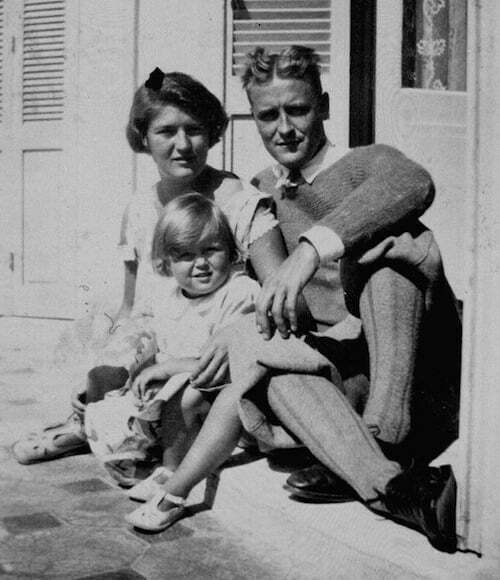 The two of them remain, however, the mythical couple of America between the wars: “two people impossible to unite, whose bond can never be undone,” as Kyra Stromberg writes in her monograph, Zelda & F. Scott Fitzgerald, published by Editura Paralela 45 in 2004 (translated by Iunia Martin): a book that serves as the inspiration for the story I have told. Zelda is also the main character of Gilles Leroy’s French novel, Alabama Song, that won the Prix Goncourt in 2007 : a novel that brings to the forefront Zelda’s literary talent, which was long overshadowed by her more famous husband. During WWII much of Europe was caught in a vice between fanaticism and terror; between Hitler and Stalin. The plight of tens of millions of people falling victim to Stalinism on the one hand and Fascism on the other is eloquently captured by a Polish prisoner in Russia: “I think with horror and shame of a Europe divided into two parts by the line of the Bug, on one side of which millions of Soviet slaves prayed for liberation by the armies of Hitler, and on the other millions of victims of German concentration camps awaited deliverance by the Red Army as their last hope” (Gustaw Herling, A World Apart, 175-76). The similarities between the two dictators obsessed with acquiring unlimited power are far greater than their differences. Yet it’s worth noting that they selected their targets differently. Stalin’s purges covered every segment of society, almost indiscriminately: the Communist party; the Politburo; even the army, navy and air force in a time when preparations for war should have been a priority. On the other hand, Hitler honed in on one main target: the Jews. His single-minded focus on destroying the Jewish people could only be called, in his own words, “fanaticism”. He remarked: “Any violence which does not spring from a firm spiritual base will be wavering and uncertain. It lacks the stability which can only rest in a fanatical outlook” (Mein Kampf, 171). What could have led a human being to want to efface the Jewish people from the face of the Earth? There are many hypotheses about what might have caused Hitler’s hatred, ranging from psychological to sociological and biographical explanations. These explanations, however, only make sense in hindsight. Nothing in Hitler’s adolescence, when pathology usually shows up, gave any clear sign of the tremendous anti-Semitic hatred that was lurking within him. Biographers state that Hitler was a mediocre student, receiving bad grades in physics, mathematics and German. His did better in art, but wasn’t that original. As a young man, he pursued his artistic career in Vienna for about six years. Some state that Hitler’s anti-Semitism grew out of his frustration that he wasn’t accepted to the prestigious Vienna Art Academy. They speculate that he may have blamed his failure on the Jews. Yet there’s evidence to the contrary as well. Hitler continued to sell his art and make a living from the art sales, supplemented by funds from his family. Interestingly, as Raul Hilberg states, “Apparently, two of the dealers were Jews.” (Perpetrators, Victims, Bystanders, 4). “The art of leadership,” Hitler states, “as displayed by really great popular leaders in all ages, consists in consolidating the attention of the people against a single adversary… Where there are various enemies… it will be necessary to block them all together as forming one solid front, so that the mass of followers in a popular movement may see only one common enemy against whom they have to fight. Such uniformity intensifies their belief in their own cause and strengthens their feeling of hostility towards the opponent” (Mein Kampf, 110). In 1929 Virginia Woolf published a series of lectures that she delivered in 1928 at Newnham and Girton colleges (the women’s colleges at Cambridge University), which we know under the title “A Room of One’s Own”. She argued that women don’t have their own creative space, both figuratively, in the male-dominated tradition of male writing, and literally, meaning the time and space to write. I think that nowadays few writers, both male and female, have a room of one’s own. For the vast majority of creative writers, writing is a passion, a talent, even an identity, but it is no longer a profession. To put it bluntly, most writers can’t earn a consistent living from it. Even journalism is barely hanging on, as the major newspapers in the U.S. are bought at low prices and blogging has taken over what used to be professional journalism. Ever since I was in college, at Princeton University, I’ve dreamt of being a fiction writer. Knowing, however, that writing isn’t a full-fledged profession, I didn’t take the plunge until my family and I achieved some level of financial stability. I studied and got a doctorate in Comparative Literature at Brown University and became a literary critic and professor for nearly 15 years. Although I had some financial stability at that point, I wouldn’t say that I had a room of my own, either literally or figuratively. I was busy raising a young family, my lovely kids Sophie and Alex, so I didn’t have much time to write fiction. Professionally, for many years I wrote scholarly essays and books. To give voice to my creative side, in 2002 I founded an art movement called postromanticism (http://postromanticism.com), devoted to some of the aesthetic values that I thought were being neglected in contemporary art: verisimilitude, passion, sensuality and beauty. The internet became, to some extent, a room of my own: a space where I could discover and interact with artists from all over the world (France, the U.S., Switzerland, Taiwan, Romania, Hungary, Italy, Mexico, Brazil, etc.) who shared my aesthetic vision. But I still didn’t have the time and space to fully express my own creativity as a writer until I became a full-time writer in 2008 and subsequently published my first novel, Velvet Totalitarianism, in 2009 (translated as Intre Doua Lumi, Editura Curtea Veche, 2011) and my second novel, The Seducer (2011). At that point in my life, my children were old enough that they no longer needed to be nurtured in the same way, or in the same space with me at all times. My space as a writer changed again and I could finally have the time and place to write. I write at my desk on a Mac computer, with my cat Jewel serving as a constant companion (and, I’d say, also muse). As all my Facebook friends know from the cat pictures I post, I’m a big cat lover. This is why I chose a picture of Jewel in my library as one of the photos included for this interview. This picture of my cat perched on my books also shows that even when I write fiction I still follow some of the research habits that I acquired as a scholar. I research throughly every novel I write. To write Velvet Totalitarianism, for instance, I read dozens of books on communism, the Ceausescu dictatorship, the political history of Romania and the revolution of 1989. To write The Seducer, a novel about psychopathic seduction that follows the structure of my favorite novel, Anna Karenina, I researched psychopathy, narcissism and other personality disorders. The plots of my novels may be fiction, but to write about anything that has a basis in history, psychology or sociology I believe that one has to have some foundation in facts. We are used to thinking of writers as being occupied mostly with writing. I believe this too has become a fiction. If the writer has a family, then a large part of his or her life revolves around that family’s needs. Second, a writer has to wear many hats, so to speak: researcher, writer, and publicity director all in one. As a literary critic, fiction writer and founder of an international art movement, the publicity hat is very large for me. I not only have to publicize my own books, but also the postromantic movement and the art of the dozens of artists I collaborate with (you can see some of my essays about them on my art blog, http://fineartebooks.wordpress.com). This is why for this interview I’ve included a press photo of me during my visit to Romania, taken by Claudiu Ciprian Popa, for the launch of my novel Intre Doua Lumi, in 2011. Book publicity has become almost as important to me as the computer at which I write. And this isn’t just because nowadays publicity has become a necessity: without effective publicity most writers wouldn’t be read. It’s also because I’m trying to find a place in the publishing industry that isn’t that of simply being a writer. I’ve witnessed enormous changes in this industry in the U.S., as most of the small and medium publishing houses have died, or been swallowed by the large publishers. Even the large publishing houses have had to merge to survive. Most authors are left without a publicity budget, which means with less consecration and access to readers and reviewers. The final picture I’m including of this room of my own is a still shot from the movie video book trailer for my novel “Velvet Totalitarianism,” called “Velvet Love,” made by Andy Platon. This photo indicates the direction I believe the publishing industry will take: namely, producing relatively inexpensive, creative and cutting-edge ways in which individual authors and publishers will publicize books in the future. In the past few years my writing space, or room of my own, has changed yet again, to encompass a network of collaborations among the various arts, including music, film and literature, which I believe will become increasingly important to authors and publishers alike. And yet publishing your manuscript is only the beginning of the gargantuan task of rising to the surface in an ocean of books. In fact, the UNESCO study probably doesn’t even count the number of self-published books via Amazon Kindle, Lulu and many other self-publishing options. On the one hand, the mass media makes sharing our cultural products easier in some ways, by facilitating access to an audience. For instance, anyone can self-publish and promote a novel nowadays, through blogs, twitter, youtube and other popular venues on the internet. But this apparent democratization of culture also makes it a lot tougher to stand out from the crowd. Each cultural product–be it a novel, a collection of poems, a song, a film or a painting–competes with tens of millions of others. It’s hard to find or discern anymore what we value and what we don’t in this tidal wave of information that assails us from all directions on a daily basis. To draw another analogy, it’s as if we heard talented classical musicians playing their instruments at the same time as others howl, scream, talk and yell in various languages. Or, if you prefer to avoid making any value judgments, as if we heard them playing at the same time as other talented musicians practice other songs. Either way you look at it, what reaches our ears will sound like a maddening cacophony, to the point that we can no longer discern the music we prefer from the surrounding noise we’d like to ignore. In a world of information (and publication) overload, effective publicity and keeping up with the rapid changes in the mass media can make the difference between success and failure. When I taught literature and aesthetics at the University of Michigan, I also helped organize a few panels in the Ann Arbor Book Festival for several years. In this function, I witnessed up close and personal the struggles of one of the biggest book stores internationally, the Borders Group Inc., which was one of our main sponsors for the book festival. As is well-known, Borders faltered in the face of growing competition from Amazon.com as well as its direct competitor, Barnes & Noble. After downsizing for a few years, the company eventually declared bankruptcy in February 2011. Barnes & Noble swallowed its former rival, taking over Borders’ trademarks and customers. This merger may be partly in response to the fact that starting in 2009, Amazon.com, the biggest online book seller in the U.S., launched several (selective, as opposed to self-publishing) imprints of foreign and genre fiction. These include AmazonEncore (out-of-pront or self-published books that sell well), AmazonCrossing (books in translation), Montlake Romance and Thomas & Mercer (mystery novels). In May 2011, Larry Kirshbaum, the former CEO of Time Warner Book Group, took over Amazon Publishing to create a new general-interest imprint. To summarize the increasingly competitive and volatile environment of the publishing industry: many authors are choosing self-publishing rather than wallowing indefinitely in the “slush piles” of highly selective and largely inaccessible literary agents; small presses have been swallowed by bigger ones (or gone out of business); large book sellers have faced bankruptcy and even mainstream publishers have had to merge to continue to thrive in the industry. But even these changes may not be enough. More publishers will sink and more publicity is needed–for authors, book sellers and publishers alike–to survive in such a highly competitive environment, where mainstream success is almost as statistically rare as winning the lottery. Effective book publicity has become a necessity. Unfortunately, even for authors publishing with the big mainstream publishers, a decent publicity budget is not easy to come by. Ebooks continue to grow in popularity, which may be great news for readers but not necessarily for writers and publishers. Even taking into account the fact they largely eliminate the distribution cost and entirely eliminate the shipping and handling cost, ebooks generate smaller revenues than print books, which means, overall, fewer profits. This, in turn, means a general decrease in publicity budgets. Also, please keep in mind that publicity budgets aren’t equally distributed among authors. The major publishing houses allocate most of their annual publicity budget on a handful of books they predict will sell that year, most of which are written by celebrities (like Paris Hilton or George Bush) or authors who already have proven sales. This leaves the vast majority of published authors to fend for themselves and generate their own publicity: through blogs, social networks, twitter, contacting libraries and bookstores, however they can. This discussion brings us full-circle to the initial problem I broached in this article: the difficulty of standing out in this deluge of mass media communication, where pretty much every author does his or her best to be heard and read. So how can you stand out if you aren’t one of the lucky few who get a major publisher’s annual publicity budget? I’d like to propose a new method–music video book trailers–that is innovative, cutting-edge and appeals to potential readers’ senses and imagination, to awaken their interest books. I came upon the idea of music video book trailers partly through good fortune (of working with a cutting-edge major publishing house in my native country, Romania, Curtea Veche Publishing)–and partly because I was actively seeking opportunities of getting involved in such a project. Ever since I’ve been a teenager I loved pop music and jazz and was intrigued by the power of music videos to capture viewers’ attention not only through catchy music, but also through spectacular filmic scenes that can rival the best movie trailers. Andy Platon is a Romanian pop music prodigy. I say “pop music” only because that’s what he excells at best. But Andy has enormous range both in terms of the scope of his talents–as a composer, music video director and producer andsinger–and in the versatility of his musical abilities, from classical music to pop music and everything in between. Andy made his debut while still only a teenager in 2009 with the song Lost Without You, which became a finalist in the competition Battle of Songs. This show was featured not only in Romania, but also in France, Russia and Turkey. Lost Without You was also nominated for the Shockwave NME Music Awards 2010. More recently, he’s known for his collaborations with Troy Lynch – The BeatBoyz (T.I., Gucci Mane, 112), Loredana Groza and Marius Nedelcu featuring Alexandra Ungureanu, Irina Popa, Xonia, Anthony Icuagu (ex. Insane), Ianna Novac (ex. ASIA, Ladies). Recently, he has established his own production company, called Fonogram Studios and is collaborating with internationally renowned musicians, such as Kris Searle. Andy Platon’s new single and music video, Velvet Love, performed by the talented singer Marcel Lovin, captures with feeling and sensibility some of the most poignant scenes of my novel Velvet Totalitarianism, including the complex dynamics between the main characters, Radu and Ioana, as they struggle with the tension between their love for each other and harassment by the Secret Police. As an art critic I found the video to be very artistic–almost photographic in feel–showing clearly Andy’s eye for capturing each scene in a single image, as well as the talent of his co-producer and Director of Photography, Anthony Icuagu. The main actors–Ioana Picos as Ioana and Mihai Marin as Radu–did a wonderful job playing the romantic couple in the novel, whose risky love for each other may be saved by their parental love for their son, Lucian, played by Alia Anastasiei. 1. They appeal to most of our senses. At their best, they’re musically catchy, visually stimulating and dramatic enough to stage a narrative that leaves viewers eager to find out more about your book. 2. They’re international. If posted on youtube, vimeo and other public venues, music video book trailers can quickly reach an international audience. If you wish to target only readers who speak a certain language, such as Romanian, French or Russian, then you can do them in that language. 4. They involve fruitful collaborations among the arts–music, film, acting and literature–so they’re by nature artistically complex and interesting. 6. Best of all, like crowd funding itself, music video book trailers offer a more or less democratic means of advertising. This doesn’t mean, of course, that this method generates equal results for all authors. But it does mean that it’s accessible to every author: whether or not they published with a mainstream publisher, independent publisher, or self-published; whether or not their publisher invested their annual publicity budget in their work; whether or not they have connections in the entertainment industry, and whether or not they have a lot of money at their disposal for book publicity. Moreover, since this method of advertising is relatively new, music video book trailers offer can offer authors and publishers a way of staying ahead of the competition. The George Enescu Festival in Bucharest is not only a highlight in Romanian culture, but also one of the most exciting and biggest classical music festivals in Europe. Named after the prestigious Romanian composer and violinist George Enescu (1881-1955), who is best known for his Romanian Rhapsodies, the festival focuses on Enescu’s work and offers the best in classical music, internationally. Every two years, for several weeks during the month of September, Bucharest becomes the classical music capital of Europe. George Enescu and his friend and collaborator George Georgescu organized the first festival in 1958. Although the festival was banned for a period of time during Ceausescu’s dictatorship, it has been reestablished and grown since the Romanian revolution of 1989. It is organized by its Artistic Director Ioan Holender, Artexim, ArClub–The Center for Cultural Projects of the Municipality of Bucharest and the Foundation Art Production. In 2013, the festival will take place between September 1st and 28th, featuring concerts of classical and contemporary music as well as opera and ballet. The festival’s motto, “Magic exists” (“Magia Exista”), emphasizes the beauty of classical music; its capacity to mesmerize all generations across cultural boundaries; its unifying force regardless of our political and ideological differences; its endurance throughout centuries, in a magic that still captivates us. Few products of the human mind, talent and creation have such a lasting power and positive effect on our cultures and psyches. This year the festival will reach an even wider public through its publicity campaign on the American channel CNN (see ad below) that will air on May 19th, as well as the broadcast of some of its concerts live in cinemas across Romania, in cooperation with Grand Cinema Digiplex. Muzica : A. Vivaldi, J. Haydn, W.A. Mozart, L. van Beethoven etc. “Pioneers Songs” de Ned Hill, interpretata cu concursul autorului, un prestigios reprezentant al Culturii Americane.